Amazon Prime Membership – Get Free 30 Days Trail with Credit card or HDFC/ICICI Debit card, All of you know that Amazon Prime Membership cost Rs 999 Per Year, But Here we can Subscribe the “Amazon Prime Subscription” effectively at Free of cost for the first month. To Read about Amazon Free Prime Subscription. Please read below the steps !! 1). First of all, Visit Amazon Prime video Page if You Are Non-Prime Users. 5. Fill Out The Details Of Your HDFC or ICICI Debit or any bank Credit Card. 9. Enjoy !! Free Amazon Prime Membership for Next 30 days !! Note: Make sure to cancel your Amazon Prime subscription before 30 days else you will be automatically charged for Rs 999 for 1 year Amazon Prime subscription. If you forgot to cancel subscription and mistakely charged Rs 999, You can chat with Amazon Customer care to cancel for Refund . FREE One-Day Delivery to eligible addresses. FREE Two-Day delivery to eligible addresses. Same-Day Delivery to eligible addresses at Rs.50. Discounted Morning Delivery to eligible addresses at Rs.50. Scheduled Delivery to eligible addresses at Rs.50. No minimum order value required for FREE Standard Delivery. Prime Early Access- Get early access to Lightning Deals on Amazon.in. Will it work for icici pockets ?? Have you verified the offer? Because I asked amazon customer care, they were not aware about any such offer. 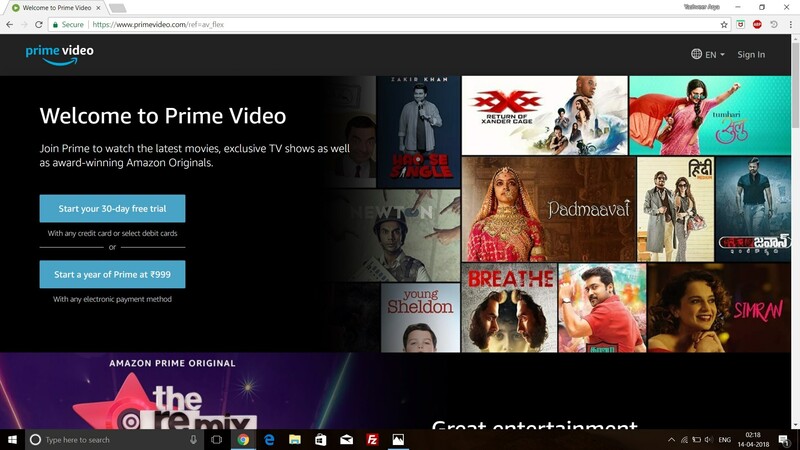 primevideo.com showing 30 days free trial, So what’s the problem? Yes, i have tried all Demo steps but not paid Rs 2 charge !! Bro, there is a option for 999 for a year… Should i proceed with that link??? bro amazon account mei kisi dusre ka aadhar card dene par aage jaa kar koi problem to nahi hogi. bro Amazon prime and redBus offer live still or not…? ?